What I learned about the Bush patriarch's incredible legacy while working for his son Jeb's presidential campaign. The greatest lesson that President George H. W. Bush — warrior, statesman, politician and peacemaker — can teach us, and future generations, is that a public figure can be good, as well as great. That is what we should expect and demand of America’s public servants, even if they too often fall short. Most of my life intersected only tangentially with the former president: he trained to be a World War II naval aviator at my alma mater, the University of North Carolina, and in the 1960s he served on the House Ways and Means Committee, where I would work decades later. His re-election campaign in 1992 was the first presidential race I followed through nearly adult eyes. And the story of his life so inspired me that I still use Richard Ben Cramer’s masterful, “What It Takes” (which includes a biography of Bush and the story of the 1988 presidential campaign) as a textbook in courses I teach at the University of North Carolina and Georgetown’s McCourt School of Public Policy. The elder Bush impressed upon everyone around him the importance of respecting the people he hoped to serve and the power and love of family. I didn’t truly understand the power of the late president’s example until I spent a year working for his son, former Florida Governor Jeb Bush, on his own presidential campaign in 2015 and 2016. Throughout that effort, it was clear that George H.W. 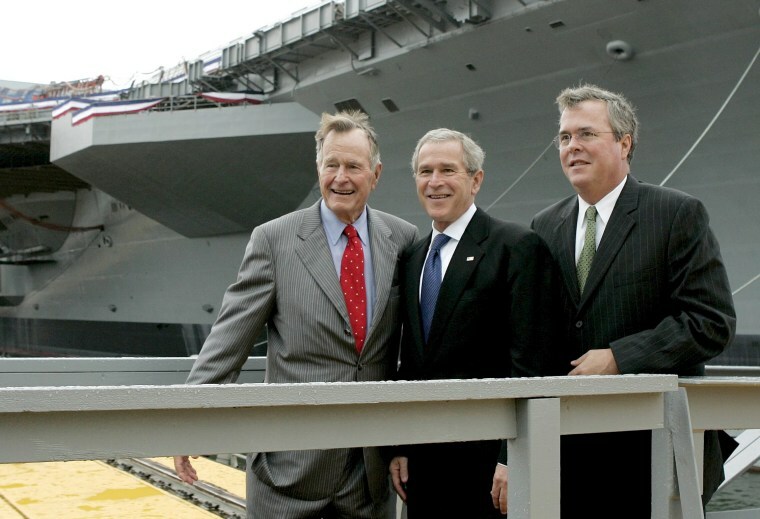 Bush was the lodestar of Jeb’s public service — the true north that he always turned toward, in matters large and small. Recalling his father’s attacks against nationalist primary opponent Pat Buchanan for driving a Mercedes Benz, Jeb traded his Audi for a Ford. Honoring the old dictum that a man must master his own body before he can lead other men, Jeb embarked on a grueling diet and exercise regime (according to Jon Meacham’s masterful biography, George H.W. — who always seemed to embody lanky patrician grace — often lunched on protein shakes in the White House to maintain his lean figure). That physical preparation served Jeb well in the campaign: During the third hour of what was billed as a two-hour CNN debate at the Ronald Reagan Presidential Library, he was sharp, crisp and alert as rivals like Donald Trump and Chris Christie slumped exhausted over their podiums. And, like his father before him, Jeb followed every meeting with a flurry of hand-written thank you notes. More broadly, the elder Bush impressed upon everyone around him the importance of respecting the people he hoped to serve and the power and love of family. Respect for the American people was at the heart of George H.W. Bush’s life. As soon as he was able, he left the cloistered, monied New England of his upbringing to join the U.S. Navy and then the frontier of post-war Texas oil country. When he ran for office, he was clear about what he supported, what he opposed and why. Many of the “gaffes” that the press hounded him for on the national stage were the result of excessive honesty and curiosity. For example, he really was impressed by viewing an innovative, totally new type of cash register, but admitting as much allowed him to be caricatured as out of touch with everyday shoppers). Clearly, respect and honesty were traits Jeb learned from his father. But, when I think of George H.W. Bush’s role on that campaign, I think of one event in particular: a strategy session near the family compound at Walker’s Point on the rocky coast of Maine. As Jeb’s advisors ran through PowerPoint slides detailing the metrics of the campaign’s progress, his mother Barbara sat in the front of the room, knitting and observing closely. Beside her, confined to a wheelchair but still keenly engaged, was her husband. The love between those two, which spawned a family legacy that has embodied and inspired the best of American political life for decades, was incandescently clear. And that, more than anything else, is the legacy of George H.W. Bush, and the example he offers all of us. 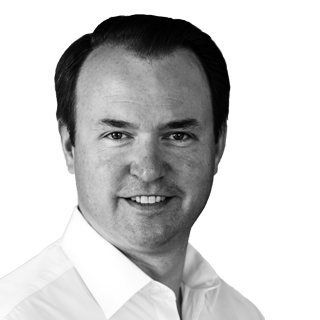 Michael Steel is a managing director at Hamilton Place Strategies, a Washington-based public affairs firm. He served as a spokesman for former House Speaker John Boehner and senior roles on Republican statewide and presidential campaigns, including for Governor Jeb Bush and the Romney-Ryan campaign in 2012. He appears frequently on MSNBC.